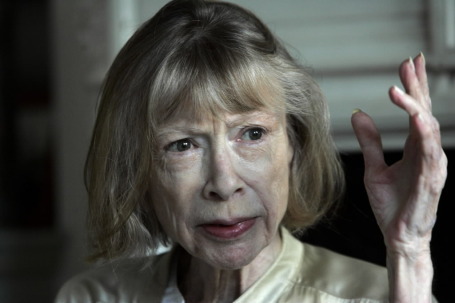 Writer Joan Didion has fallen and broken her collarbone and will not be coming to Minnesota this spring. Didion, the author of "Slouching Toward Bethlehem" and many other books, had been scheduled to appear in mid-April at the Ted Mann Hall on the University of Minnesota campus. A UM spokesperson said it was unlikely that her appearance would be rescheduled this year.